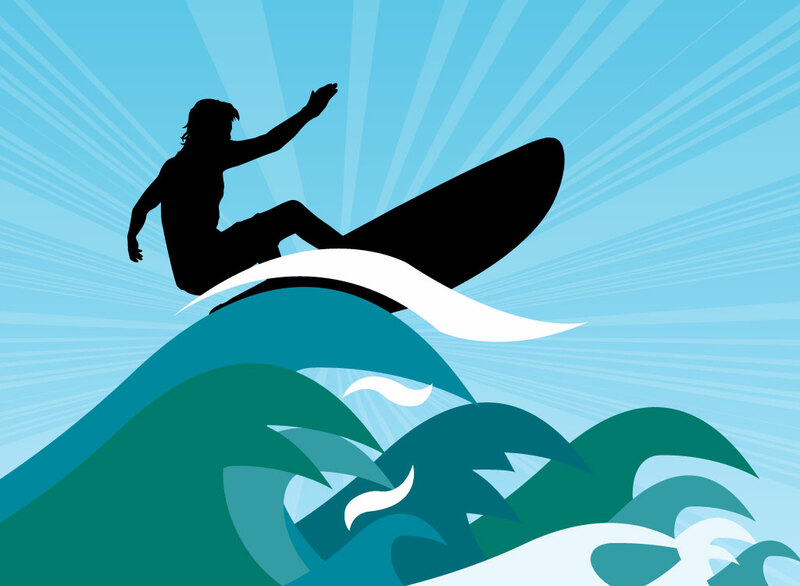 Black vector silhouette of a surfer riding blue, green and white wave graphics. The detailed surfer contrasts nicely with the simple waves. Action sports style images are great for screen printed t-shirts, hoodies and other apparel. The free download could also work well with vinyl stickers and flyers. Tags: Activity, Ocean, Sea, Summertime, Surfboard, Surfing, Tropical, Water, Waves.